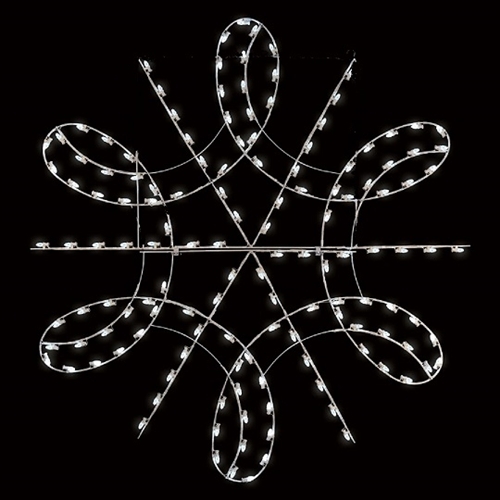 NEW Design 8' Deluxe Spiralgram Snowflake with (137) C7 LED bulbs. This can be used for a wall mount or building mount display. 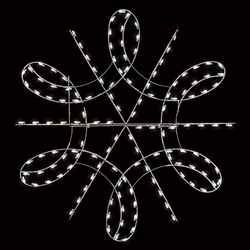 You can mix this with other snowflakes that we carry. Order early in the season. We offer our best discounts the first quarter of the year. Call for shipping rates.